Since her well received TEDxWellington talk in 2017, Irene Wakefield has been sharing her story and bringing light to the often invisible issue of emotional abuse. 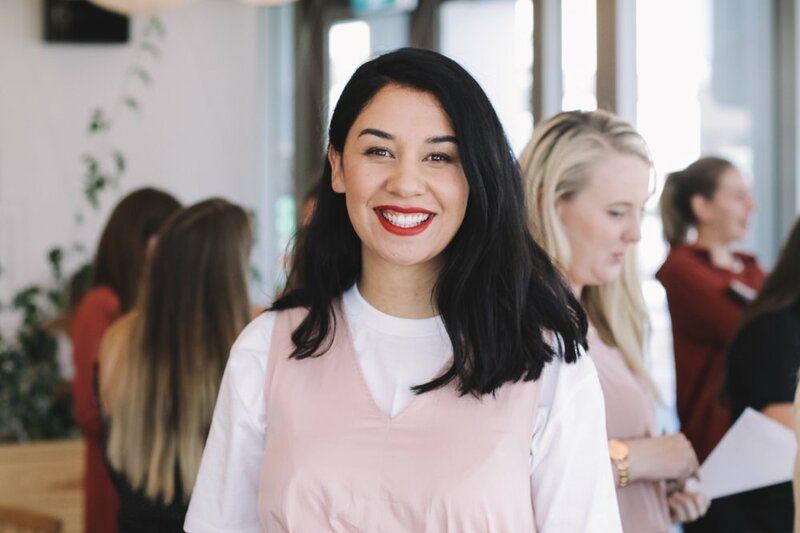 At age 15, having experienced an abusive relationship first-hand, Irene decided to launch Prepair NZ, an online resource teaching young women that emotional abuse IS abuse, how to identity the early stages of abuse in a relationship, learn self-love, and know what to do when experiencing or witnessing an abusive relationship. Irene believes that putting language around the less obvious, insidious types of abuse in relationships (for example Everything You Need To Know About Gaslighting), helps victims to identify it, understand it and feel more empowered to speak out against it. Prepair NZ has taken to stages nationwide, as well as running workshops and talks in schools, universities and workplaces, and even partnered with Glassons on a t-shirt range. The Prepair website discusses a range of topics like the common warning signs of an emotionally abusive relationship, real life experiences, and resources for those seeking help. We were lucky enough to speak to Irene about her journey. Irene calls Prepair NZ an ‘older sister’ but her wisdom is more like that of a wise grandmother - well beyond her years. You talk about the importance of having “uncomfortable conversations”. Why do you think is this is so important in creating social change? I think the power of social change lies within the realms of allowing my truth to be heard while also being open to listening to and respecting yours. When you do this well, you create space for someone to listen, learn and feel valued. An uncomfortable conversation exposes our self-perceived downfalls. We speak at the risk of not being understood. We may even find ourselves not being able to see eye to eye or agree. The purpose of an uncomfortable conversation should be, to be seen, heard and most importantly to listen. If your goal is to be correct or make another person wrong, you have the perfect recipe for disconnection, or worse, war. We've all heard Brene talk about how vulnerability is the birthplace of courage and creativity. I also believe vulnerability or an uncomfortable conversation is the birthplace of enlightenment and learning. If we all opened ourselves up to learning we would progress far more effectively, with a lot less noise. What has been (or is) the biggest challenge you have encountered on your journey? I live in a world that encourages me to boil myself, my work and my beliefs down in to checkboxes and 1080px squares. I'm currently working through a process of unsubscribing from this mentality. For example I recently deleted my personal Instagram because it actually does nothing to serve me. Or, when someone asks me what I do, I tell them that I don't fit into a traditional job title - I am Irene. At heart I am a non-conformist and I really value originality. I don't enjoy buying into trends and popularity and I am actively choosing not to. This feels really good for me however it can make cutting through a noisy digital world challenging. I've subscribed to the long game with Prepair and with that comes the need for patience and perseverance which is tough some days. There is so much more depth to Prepair NZ than the internet allows you to see. Behind the scenes you can find me working one-to-one or in workshops with groups of young women who are given labels like 'high-risk' or 'disadvantaged.' These labels really annoy me because they do not do justice to the incredibly talented women I sit face to face with. I am 'on-purpose' when I work in this space. When I provide language for a behaviour a young woman intuitively knew was wrong but could not describe, I see the shift in her spirit. When I sit down with a young māmā to help her create an exit plan from an abusive relationship I feel the shift in her self-belief. When I am honest enough to tell a room that leaving an abusive relationship is not easy and there is not quick fix, I facilitate another step in the self-love journey. These are the most rewarding moments of Prepair. As you discuss in your talks, self-love is a crucial part of healthy relationships, yet it’s often something people simply don’t know how to do. What would you suggest as a good starting place for learning self-love? Self-love has become trendy. It's a buzz word that is used to sell everything from workshops to fitness wear. To me, real self-love requires you to truly get to know your most authentic self. It is a journey that happens internally more than externally. Yes, it feels good to have a bubble bath or get your nails done, but this is not a practice that will sustain you when there are tough decisions to be made. The first thing to do is learn about yourself beyond a surface level. What do you value most in life? When are you most aligned with your values? Are there people in your life that sway you away from living in alignment with your values? Who are the people that encourage you to live in alignment with your values. I would encourage anyone wanting to follow this process to check out the values worksheet on the Prepair NZ website. When you understand yourself at a deeper level it's much easier to make decisions that go against the grain. The decision could be about leaving an abusive relationship or quitting your job to start a business. Having your values in tact mean that you can make the best choice for you without being swayed by the noise of the world. Your values serve as an adamant and unshakeable foundation upon which you can build you life. If you could give one piece of advice to readers, what would it be? Learn to do things by yourself, for yourself. When you can be comfortable in your own company, you can find comfort and confidence in going against the grain amongst a crowd. You will not always have someone there to back you or affirm you in life. You have to learn to do that for yourself. The first step is being comfortable with and trusting yourself and only you can lead that lesson. Whats making you excited about the future? My team and I worked really hard last year to better understand our audience through multiple research projects. It's taught me so much about the value of my work and also the areas I choose not to play in. I'm excited to enter into 2019 with so much more clarity about the direction of Prepair. You can hear Irene’s story and more about her work at PrepairNZ.com, check out her videos on Prepair’s IGTV profile and watch her talks below. Do you want to support us and be a part our movement? Donate today!